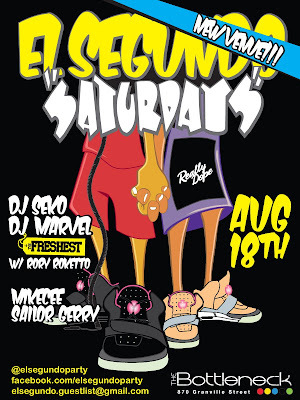 :: THE FRESHEST ::: EL SEGUNDO SATURDAYS NEW VENUE! EL SEGUNDO SATURDAYS NEW VENUE! Vancouver Fam THIS SATURDAY! El Segundo is back at a brand new venue The Bottleneck (next to The Commodore) Same music, same vibe, same crowd.